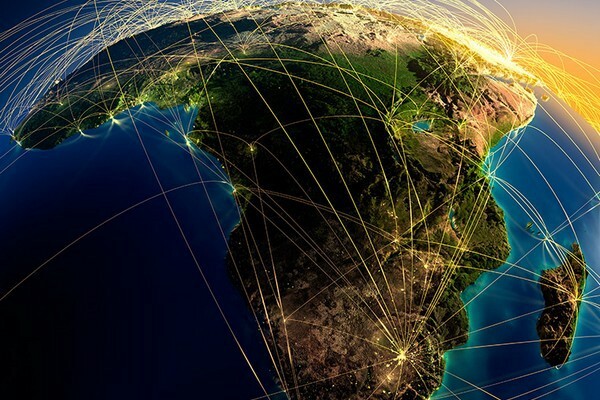 16 African Startups fabricating their firms with AI exclusively. There is a lot of dilemmas when it comes to defining what Artificial Intelligence (AI) is, especially in our context as a continent. In most cases, people confuse this with either innovation, technology or IA (Intelligence augmentation). Furthermore, artificial intelligence is said to enable a computerized machine to perform tasks that would normally be performed by human intelligence. The artificial intelligence is required to be equal to human intelligence or even more. As much as the uprising of artificial intelligence has a different intensity in each part of the world. For Africa, artificial intelligence is very relevant and important as the continent is packed with developing countries everywhere. There is no industry that artificial intelligence cannot get involved in. In fact, the most pressing and traumatizing issues in Africa can profoundly be solved by artificial intelligence. It is exciting, thinking and reflecting on how massively can the continent improve with the involvement of AI in the sectors of health, agriculture, finance and even in the research field. Data prophet is a startup scaling its way in South Africa, it utilizes AI for manufacturing. It ultimately majors in building machines that aid at solving problems in the manufacturing industry. Another South African prestigious AI startup is a technology business that has specialized in the art and science of Intelligence Augmentation (IA). Clevva has developed a platform that can enable any company to effectively capture and scale their sales, support, system, process and technical expertise since 2011. Allowing people to make more informed, responsive and effective decisions. This firm strongly believes; unless they help people become assets and not liabilities within organizations, artificial intelligence will soon make staff redundant. Aerobotics: Defenders of the tree crop. Such an intriguing firm, that ultimately implores artificial intelligence in the sector of agriculture. This intelligence is heightened with the use of drones form problem detection, planning the targeted trips to scout across and monitoring the plants. Stockshop- Johannesburg’s startup offers artificial intelligence solutions to banks and insurance companies. The stockshop ultimately deals with the industry of finance. The startup has developed a solution that pairs financial behavior, spending, and other data along with emotional cues and provides clients with assistance around financial matters such as payments, administration, rewards, and education. Xineoh has taken over an interesting turn. It is more of a consumer behavior prediction platform. What a utilization of Artificial intelligence; predicting customer behavior using AI. Xineoh enables you to match people with products, to match prices with spending propensity and to match inventory with opportunities. When any firm goes for help to Xineoh, they get the right answers about their customers hence allowing them to improve customer relations and providing to the precise needs of the customers. FinChatBox was launched in June 2016. The startup built chatbots for client websites. FintChatBox ultimately solves the challenge of poor customer services. The firm allows customers to feel more engaged and more paid attention to. It also monitors industry trends to increase sales conversion rates, predict customer needs and suggest business solutions. Affectiva is a branched out firm from the headquarters in Boston, Massachusetts in the US that is focused on understanding human emotion. Their vision lies in the belief that technology needs to sense, adapt and respond to nonverbal signals, not just commands. They are building emotional artificial intelligence (Emotion AI). The creative technology they developed measures human emotion through sensing and analyzing facial expressions. The Ugandan fintech startup, awamo offers tech solutions to microfinance institutions. Its platform helps digitize business procedures, credit information sharing, and many other services using mobile devices. Parrot.ai is the Tanzanian leading artificial intelligence startup. The firm’s mission is to help individuals, businesses, enterprises, and organizations effectively exploit the advantage and benefits of Artificial Intelligence. they claim to exist to not only make products that the market demand but also make products that have a positive impact on society. Furthermore, Parrot is determined to also train youth and young girls on the benefits of AI and how to use AI. Tanzania’s fresh startup that implores Artificial Intelligence for health care. Dr. Elsa allows doctors to practice medicine from their home or office and powers them with artificial intelligence for specialty advice and better diagnosis. It is a mobile health application that allows people to connect with a doctor and receive medical care from where they are. By providing symptoms and brief medical history, their doctors are able to provide treatment recommendations that will help their customers get better quickly. 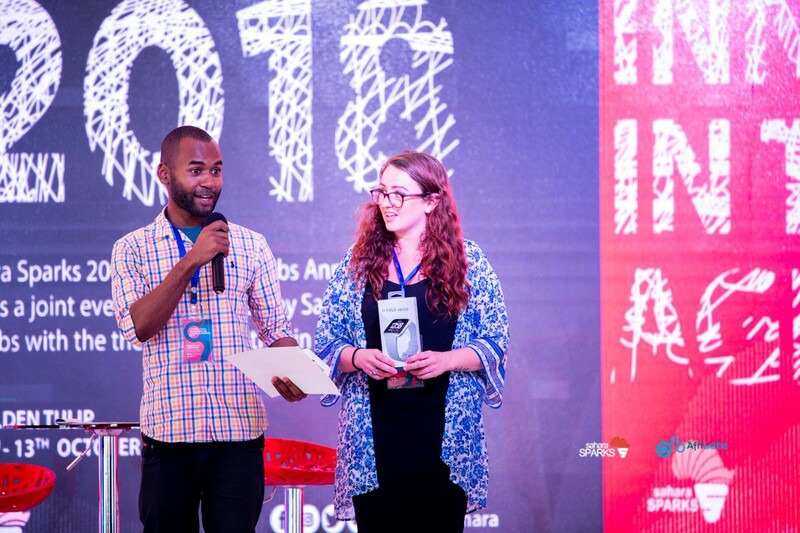 Dr. Elsa was announced the winner of the Botnar challenge at the 2018 Sahara sparks event. Nigerian startup Kudi has developed a chatbot which allows users to make payments and send money to friends and family in Nigeria through messages. The startup company uses Artificial Intelligence to understand user requests, drive conversations, understand their spending habits and prevent fraud. The startup is piloting with banks and telecommunication companies, to learn and see how far it can scale up. Tuteria is a Nigerian Educational startup that matches qualified tutors with students according to the location and budget. The Tuteria tutors are required to have a good rating to win more clients and compensation, and falling below a specified minimum level leads to teaching disqualification. AI in education. Allowing people to get the right tutor at the right price and place. The Aajoh Nigerian startup uses artificial intelligence to help individuals that send a list of their symptoms through text, audio, and photographs, to diagnose their medical condition. The Aojah startup company believes that the app won’t replace medical diagnoses but will allow doctors to make the best use of their time by allowing them to focus on the patients that need physical care. Thus allowing room for more patients to be served in a much shorter period of time. The firm majors with Artificial intelligence are entirely in the health sector. ALAT is Africa’s first bank that is fully digitalized. It was launched in 2017 by the Wema Bank in Nigeria. ALAT targets youth. It employs simplicity, reliability, and convenience. Through ALAT, customers can open an account through their mobile phones, in less than five minutes and have their debit cards delivered with three days free of charge. The Kenyan data analysis startup Farm Drive is a very advantageous use of artificial intelligence in the sector of Agriculture. It is an alternative credit scoring platform that benefits small scale farmers. The startup uses mobile phones, alternative data, and machine learning to close the data gap that prevents financial institutions from lending to money to worthy smallholder farmers. Making life easier for small scale farmers. Sophie Bot, a Kenyan startup is a free chatbot that provides a platform for questions on sexual reproductive health. In a society where sexual reproductive health information is not readily accessible especially to youth, Sophie Bot provides credible and relevant answers, platform independence and a user-friendly conversational interface. This service is now available on messaging apps like Messenger and Twitter. There you have it. 16 outstanding startups! This excludes all the current and upcoming projects that use Artificial Intelligence to tackle the different challenges in Africa (An article for next time). The revolution is strong. And there is no telling how much will change and improve in Africa in the next 10 years. However, there are concerns imposing on the fact that AI will take over and eliminate jobs or even worsen the inequality situations. Studies have been done concerning this matter and it appears that AI will slowly result in the emerging of new jobs, and it will even allow transformation in the working industry. Regardless of how advanced AI becomes, many jobs will continue to require human talent; creativity, collaboration, and complex communications. Our mission is to build a stable innovation, technology and entrepreneurship ecosystem in Africa through consultancy and investment.